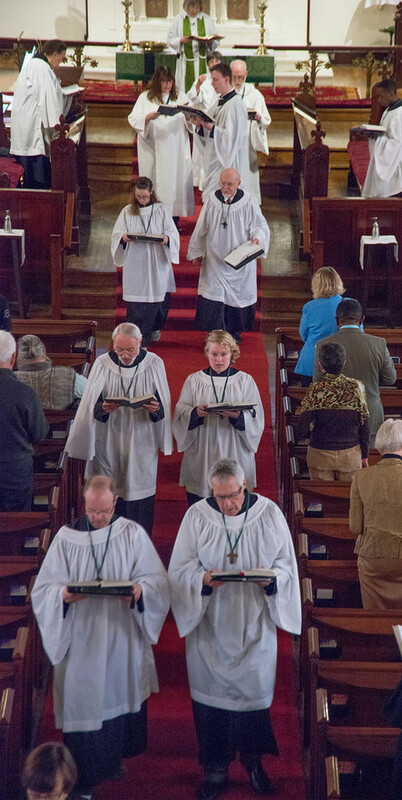 Portions of our Dec. 10th @ Advent Lessons & Carols Service can be seen online! Hear music by Bach, Willan, Mendelssohn, Boris Ord, Crawford R. Thoburn, and Charles Callahan along with hymns, spirituals and folk songs, by our 20-voice choir with pipe organ, violin, French horn, and our spirit-filled singing congregation. 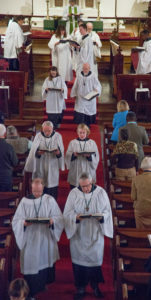 Visit the Music @ St. John’s Episcopal Church YouTube channel. Our Chancel Choir rehearses Thursday evenings and Sunday mornings. For more information, please contact Director of Music Karen Hindenlang via stjohns@clarityconnect.com, or stop by the organ bench after any choral service, or visit the Music page on this website!